The Tampa Bay Lightning are a young team whose championship window opened just last season and could stay there for years to come. While the Lightning fell short of their goal last season, falling to the Chicago Blackhawks in the Stanley Cup Final, the Lightning remain a very dangerous team that will only continue to get better with young scorers and 50 point getters. Tampa was last season’s top scoring team with four 20 goal scorers, a top defenseman in Victor Hedman and a combined 199 points, which was tops in the league. The Lightning will have to deal with the contract status of Steven Stamkos, whose deal expires at the end of year with hopes of re-signing one of the best scorers in the league. Below are the top five Lightning tickets on the secondary market for the upcoming season. The Tampa Bay Lightning’s top priced game this season is their home opener on October 8 at Amalie Arena against the Philadelphia Flyers. Lightning tickets for this game are going for an average price of $134.54 on the secondary market, with the cheapest ticket to get in priced at $48. Four of the top five Lightning games this season feature division opponents including two with the Detroit Red Wings. The March 22 matchup at Amalie Arena has tickets at a secondary average price of $127.30 on the secondary market, with a get in price of $27. The Montreal Canadiens are the other division rival of the Tampa Bay Lightning that is featured in two of the top five Lightning games this season. On December 28, the Canadiens come to Amalie Arena as tickets for this game have a secondary average price of $126.64, with a get-in price of $37. 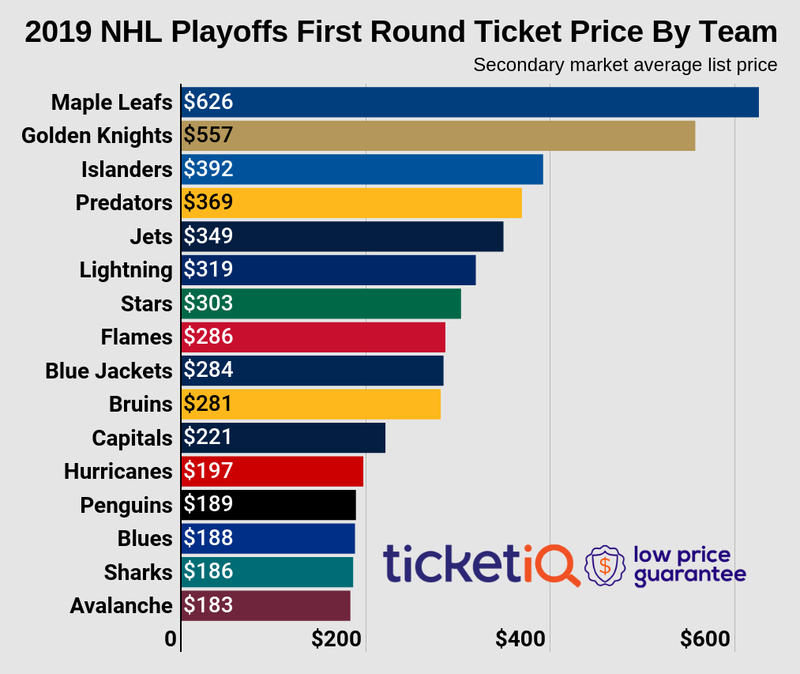 In the second game featuring the Detroit Red Wings, Lightning tickets for the February 3 matchup are only slightly less expensive at an average price of $125.25 on the secondary market, with the least expensive ticket to get in priced at $28. Only two points separated these two teams for the division lead last season as the division rival Canadiens and Lightning face off again on March 31. Lightning tickets for this game are averaging $125.25 on the secondary market, with a get-in price of $23.